As we know, there are many methods you can earn money from home. And, one of the most common among those is to earn money selling gigs or small services. To earn money Selling small gigs or services is somewhat similar to freelancing. You earn money selling gigs or small services without actually having a contract with clients or customers. Yes, you are not actually employed and ruled by boss. Yet you earn by one of the best and simplest earning method. That’s freelancing. Also, with the ease of working from home and being able to choose your own working hours – freelancing is first choice for many entrepreneurs. I have already discussed what is freelancing and which are some best places to look for freelance jobs earlier. The world has seen a large competitiveness and recession in job market recently. And Freelancing has come up as a great solution for this. That is why many job market places have evolved with a unique concept of hiring worker online based on their talent and capability. So depending upon your interests and talent, you too can sell and offer many small services. And you can easily earn money selling gigs or small services. These small gigs might be anything ranging between as funny gigs as singing a happy birthday song for someone to as serious as designing a website using CSS or java. But between this range, there lies so many things to do and earn. For example – designing logos for brands or T-Shirts, writing articles, promoting something on social media, doing SEO work, selling photographs, translating articles, helping children complete homework or tutoring, data entry works, programming etc and un-countably many more. Though there are many such market places where you can earn money selling gigs or small services. Yet it is important to choose which are the best among them. 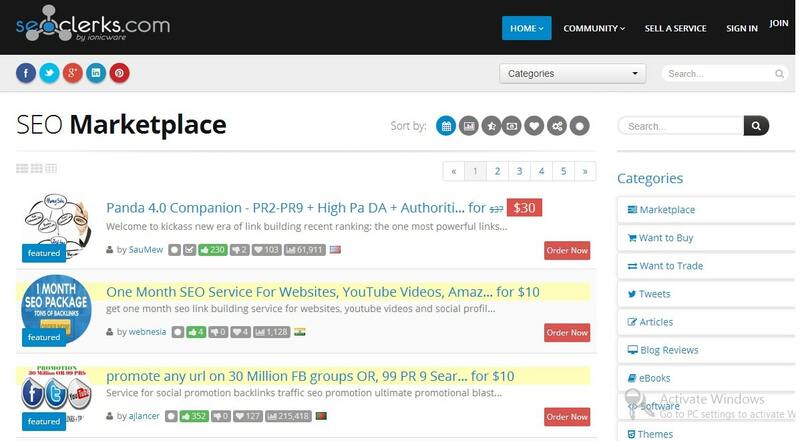 That is why I am sharing “5 Best Market Places to Earn Money Selling Gigs or Small Services“. But before that let me ask you, do you have any small service to offer ? What would you contribute to others for earning money ? I hope you know very well that what you would be selling. So here is the list : Go for it ! And earn money selling gigs or small services. Fiverr is the most popular international market place to earn money selling gigs or small services. You can start selling anything for $5. However it must be stated that Fiverr itself takes its cut ($1) and you would receive $4 for every $5 of work done. The working is quite simple. You create your profile letting others know that what you would be selling. The one who needs your services > likes it – orders you. The buyers pay $5 in advance to Fiverr. And after you successfully complete your work and deliver it to the buyer, Fiverr would pay you $4 instantly but verification of your work usually takes 14 days. This earning can be easily cashed out using your PayPal account or Fiverr Revenue Card. Though $4 seems to be very small but joining Fiverr is not a bad idea at all. Because Fiverr has a very good reputation in online market place. And traffic of buyers is very high. That is why I recommend this as best place to earn money selling gigs or small services. SEO Clerks is one of most popular market place to earn money selling SEO services. Though a large crowd is dedicated to sell and buy SEO services yet there are many more for users other than SEO services. For example, you can write articles, translate them, comment in forums, share links on social medias and many more. You can browse various services from available categories. If you are really good SEO expert or having talented internet marketing skills then SEO Clerk can help you earn huge bucks. However, the best thing is that you have your own choice to set up price for your services. You can set up anything from as low as $1 to as high as $999. Again PayPal is the only option for Payment as of now. If you don’t have a PayPal account, I would recommend to go through these resources. Gigbucks is another such popular name for gig seekers. You can earn money selling gigs or small services of your choice easily. Gigbucks seems to be a clone of Fiverr. Because the working and interface of this marketplace is quite similar to Fiverr. However, there are some advantages of Gigbucks over Fiverr as you have flexibility over selecting your price of services from $5 to $50. Also, you have option for payment other than PayPal. Cashouts can be done using PayPal and Payza. Though, traffic is not even somewhere close to Fiverr yet Gigbucks can be a very good place to place your gigs. And once you get buyers for your gigs, start making money. FiverUp is designed with a purpose to have extended features of Fiverr. And it offers many improved features in quite promising manner. You can earn money selling gigs or small services from a wide range of categories. Unlike Fiverr where everything is $5, FiverUp provides you opportunities to think beyond $5. You can earn from as low as $4 to as high as $100. There is a really too large list of categories to sell your services. 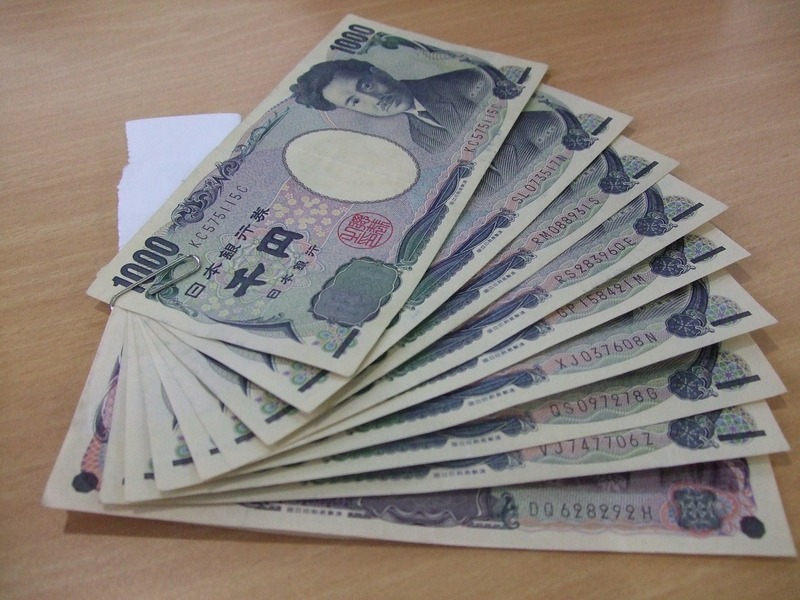 And once you succeeded to earn, you can receive your payment using your PayPal account. Though traffic is something which keeps it behind Fiverr. Yet it is an excellent idea to give FiverUp a go. Because the large traffic requirements is meet by their own promotional efforts like tweeting them with twitter accounts having more followers as well as posting them on their own blog. More importantly, they place your gigs on top of home page as featured at least once each day without taking any cost from you. Tenrr is another such great market place which is almost free to join as well as it doesn’t charge any commission. You directly get your money from buyers via PayPal. However, web design interface and working process everything is quite similar to Gigbucks. But here, you can earn selling gigs or small services ranging between $1 to $10. Tenrr mainly comprises with buying and selling services like social fans and followers, articles, web development and other website related tasks. So if you are a good web developer or talented social media marketing expert, you can earn really good amount of money. Though there are many online market places to earn money selling gigs or small services. Some might ask you for sign up cost or premium membership fee. But I recommend you these 5 listed above as best. Because all of them are free to join and most legit one. However, it is really important to analyze what is going to work for you and what not before setting up your freelance career. The same platform may be best for someone while worst for other. So it depends upon you to get the ideas and make it perfect. Hope you enjoyed reading these “5 Best Market Places to Earn Money Selling Gigs or Small Services“. However your any experience or view is highly appreciated in comment box below. Did I missed any ? Do let me know, please ! I agree very well with your points here, most especially the one that deals with the promotional aspect. If one wants to make success selling gigs, it is important to put in the effort at promoting the gigs even outside the gig sites and spread the news on many social networks. There are many people selling gigs either on Fiverr or fiverrUP. The seller needs extra efforts to get his gigs into the front of the people that need them. Personal promotion through sharing among followers or creating a personal blog to tell people more about your gigs help a lot. I like this article.